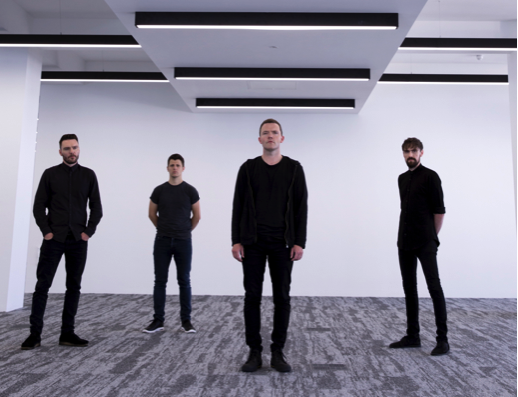 Manchester four-piece The Slow Readers Club have announced an extensive UK tour for 2019, which will follow their sold-out headline dates in Glasgow, London and Manchester next month. The tour will see the band play 32 intimate shows across the country throughout March and April. Tickets will be available at 10am on Friday (Nov 30th) via theslowreadersclub.com. The band’s forthcoming sold-out run of dates next month will see them playing the biggest shows of their career so far. The Slow Readers Club are touring in support of their new album Build A Tower, which was released in May this year and went straight into the Official UK album chart Top 20 at number 18, 10 in the physical album chart, 4 in the vinyl chart, 4 in the indie album chart and Number 1 in the cassette chart. The latest single, ‘On The TV’, taken from the album has proved a hit at radio, receiving great support from BBC 6Music and Radio X. In September The Slow Readers Club released For All Here To Observe, a collection of acoustic reworks including tracks spanning their entire career.